A video for the song 'I Won’t Break' by the Russian participant of the international song contest Eurovision-2018 Yulia Samoilova has generated more than one million YouTube views in just one week. MOSCOW (Sputnik) - Singer Yulia Samoilova will represent Russia at the 2018 Eurovision song contest that will be held in the Portuguese capital of Lisbon on May 8 - 12, Russia's Channel One broadcaster reported on Sunday. The organizers of this year’s Eurovision song contest in Ukraine have sold some 2,000 tickets for seats that were either unfit for use or nonexistent altogether, the head of the Ukrainian ticket agency Concert.ua, Dmitry Felixov, told Sputnik. Russian senator Frants Klintsevich said on Saturday that the European Broadcasting Union (EBU) should give a "clear answer" to the question of whether the 2017 Eurovision Song Contest will take place in Kiev, if Russian songstress Yulia Samoilova is banned from entering Ukraine. Ukraine will not make concessions to Russian 2017 Eurovision contestant Yulia Samoilova, whom the Security Service of Ukraine (SBU) has banned from entering the country, despite some countries' desire to withdraw from the song contest, Ukrainian Foreign Minister Pavlo Klimkin said Friday. The European Broadcasting Union (EBU), organizer for the Eurovision Song Contest, has not considered imposing sanctions on Ukraine over banning Russia's contestant from entering the country, the company’s spokesperson told Sputnik Thursday. The European Broadcasting Union (EBU) will exert necessary efforts to guarantee the participation of Russia's representative in the Eurovision Song Contest 2017 hosted by Ukraine, the chairman of the Reference Group of the Eurovision said. The banning of Russia’s Eurovision contestant Yulia Samoilova by the Kiev regime is a new low – if that regime could possibly stoop any lower. Russia's Channel One rejected the Eurovision Song Contest organizers' proposal that Russian participant Yulia Samoilova take part via satellite, the channel said Thursday. The proposal of the European Broadcasting Union to Russia's Channel One to arrange a satellite broadcast of the performance of Russian 2017 Eurovision participant, who was banned from entering Ukraine, politicizes the song contest, Ukrainian Deputy Prime Minister Vyacheslav Kyrylenko said Thursday. Ukraine's Deputy Prime Minister Vyacheslav Kyrylenko said Thursday the broadcasting of Russian Eurovision participant Yulia Samoilova's performance by Ukrainian television channels would violate Ukraine's laws. The European Broadcasting Union (EBU) proposed to Russia's Channel One to arrange a satellite broadcast of the performance of Russian 2017 Eurovision participant Yulia Samoilova, who was banned from entering Ukraine, so that she could still take part in the Eurovision Song Contest, according to a statement published on the contest's website. Ukraine tries to present itself as a state of European values, yet at the same time it denies Russian contender Yulia Samoilova entry to the country for 2017 Eurovision Song Contest. Kiev confirmed the image of a regime infected with Russophobia by banning Russian singer Yulia Samoilova entry to Ukraine to take part in the 2017 Eurovision Song Contest, the Russian Foreign Ministry said in a statement Wednesday. 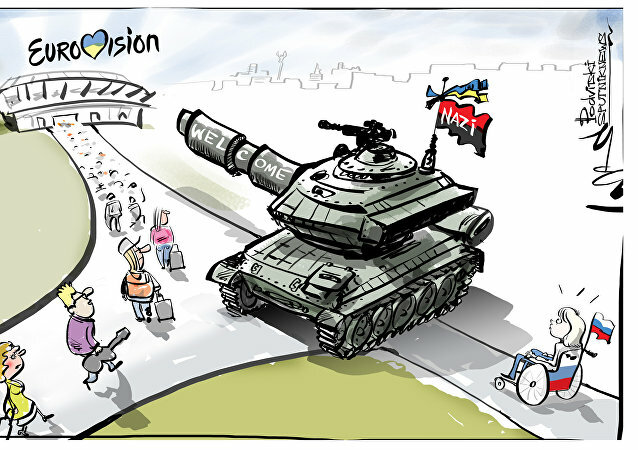 The European Broadcasting Union (EBU) will cooperate with Ukraine in order to make sure that all participants, including the one from Russia, will be able to take part in the upcoming Eurovision contest in Kiev, a statement released by the EBU showed on Wednesday. The Kiev authorities' decision to ban Russian Eurovision participant Yulia Samoilova entry to Ukraine is unprecedented, Leonid Slutsky, chairman of the international affairs committee of the State Duma, the lower house of Russia's parliament, said Wednesday on Rossiya 24 television channel. Russia will boycott not only Eurovision 2017 in Kiev, but all subsequent contests, if the leadership of the song contest does not stand up for Russian participant Yulia Samoilova, who was banned from entering Ukraine, a senior Russian lawmaker from the upper house of parliament said Wednesday. Russian 2017 Eurovision Song Contest contender Yulia Samoilova has been denied entry to Ukraine. The Security Service of Ukraine (SBU) will make decision on possible 3-year entry ban on Russian 2017 Eurovision Song Contest participant Yulia Samoilova in the near future, Oleksandr Tkachuk, chief of staff of SBU head, said on Wednesday. 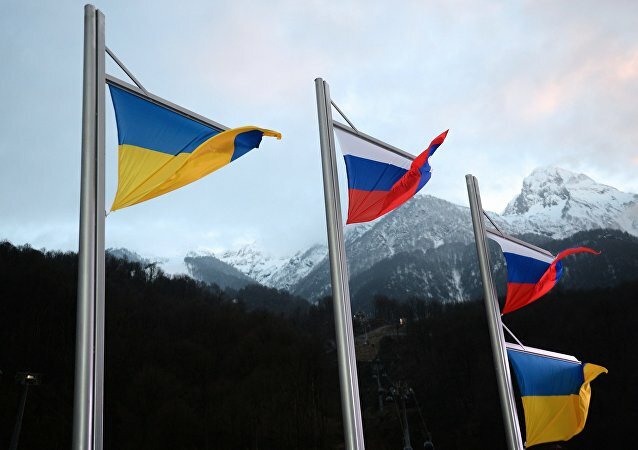 Russia will boycott the Eurovision Song Contest 2017 in Kiev in case the Security Service of Ukraine (SBU) bans the entry to the country for Russian participant Yulia Samoilova, Russian lawmaker Oleg Morozov told Sputnik Monday.